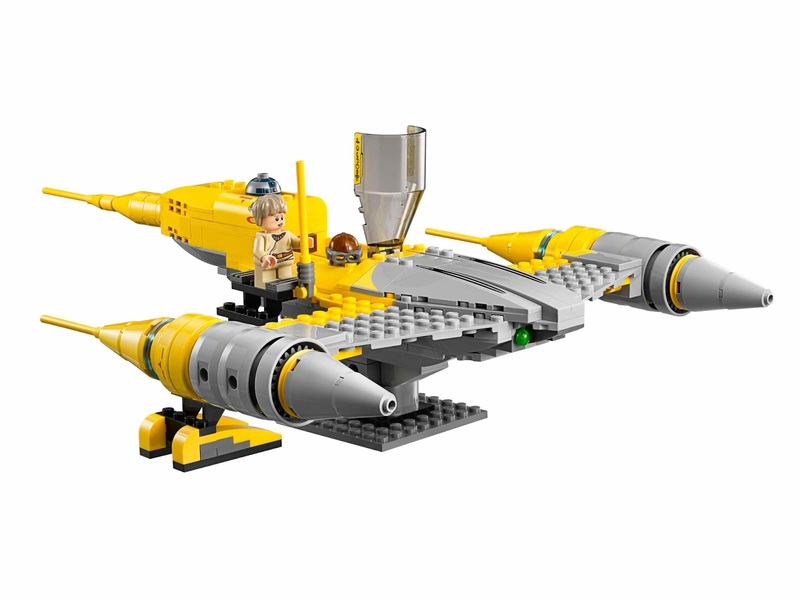 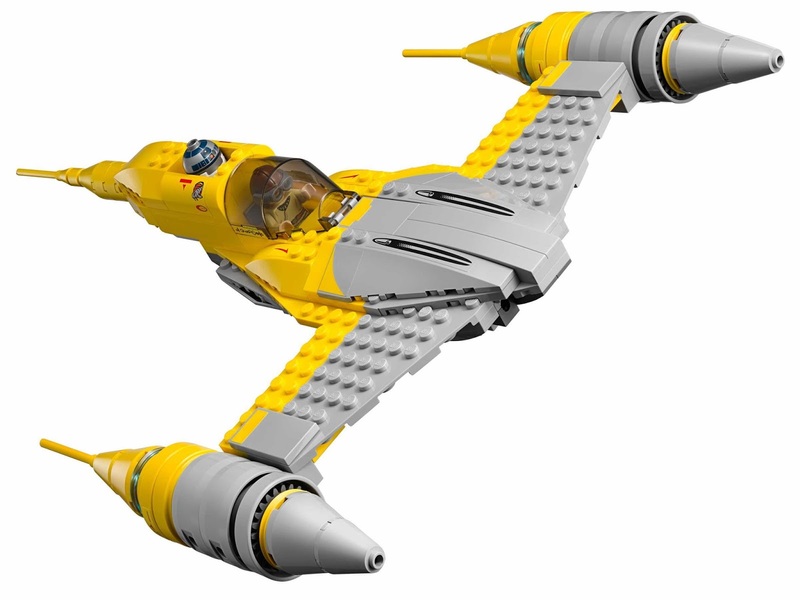 come with a naboo starfighter. 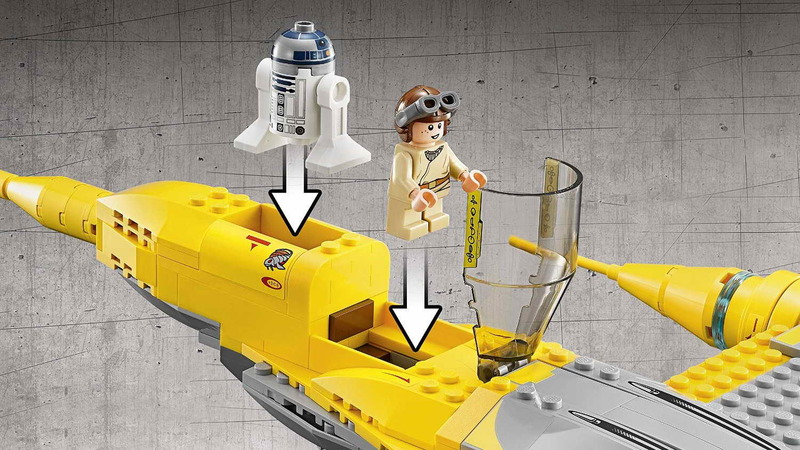 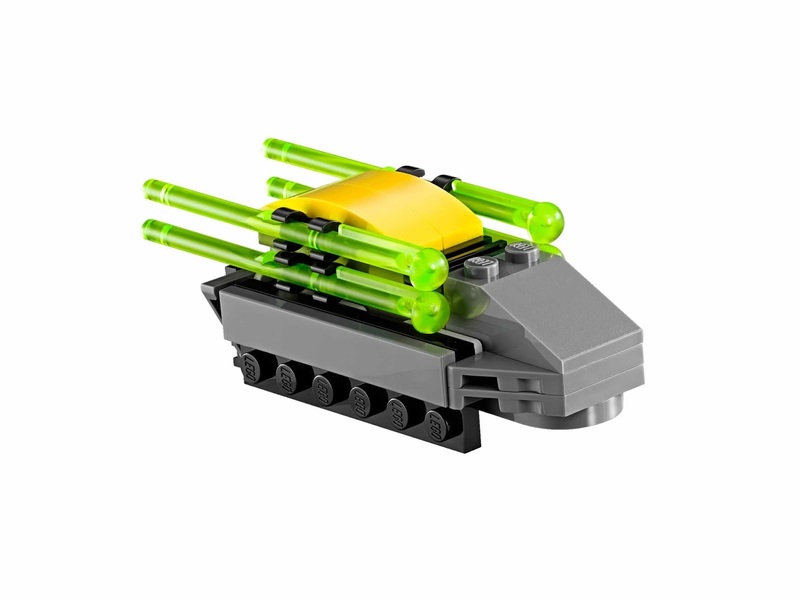 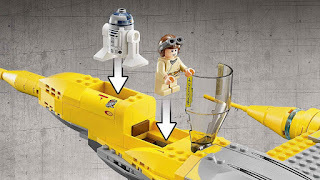 the starfighter has a rotatable stand, an access ladder, a fueling station, 2 destroyer droids, an openable cockpit, spring loaded shooters and r2d2 eject function. 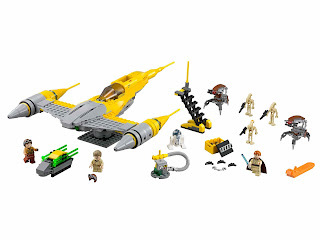 also included obi wan’s lightsaber, a blaster pistol and 2 blasters. 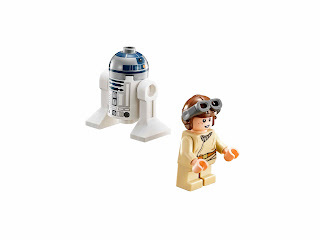 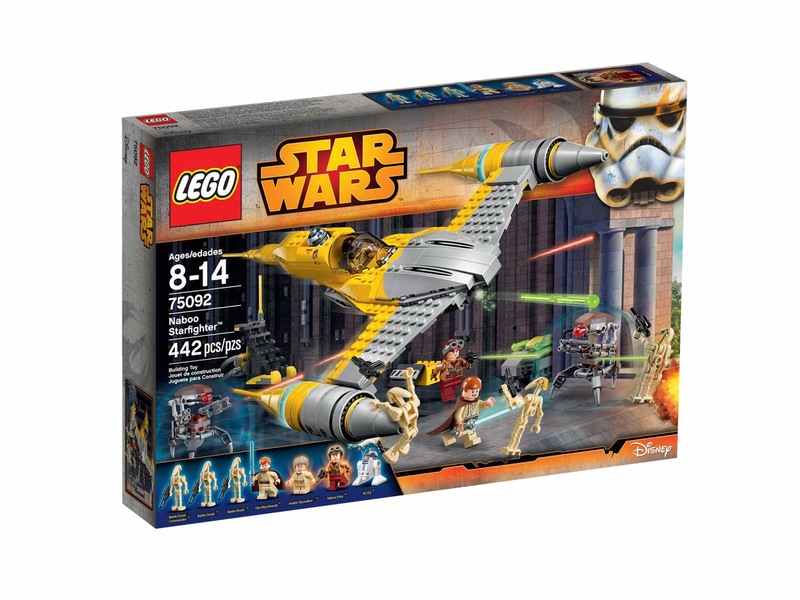 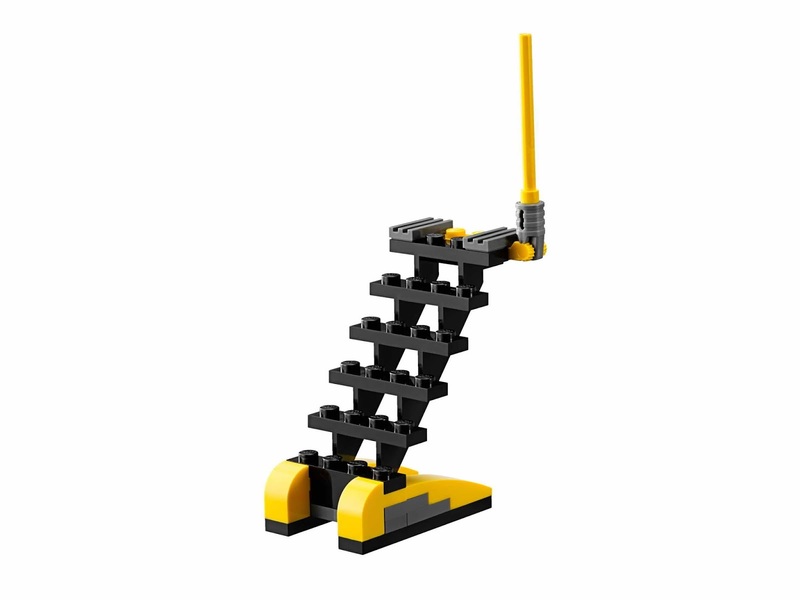 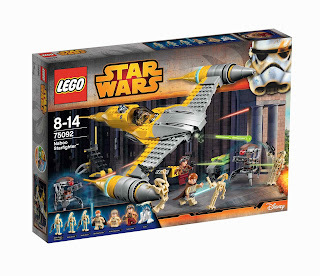 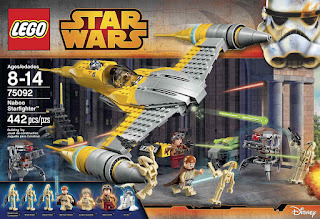 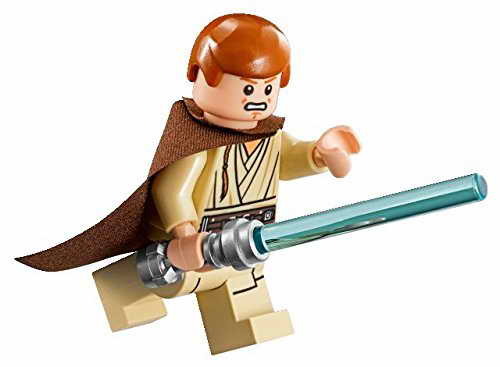 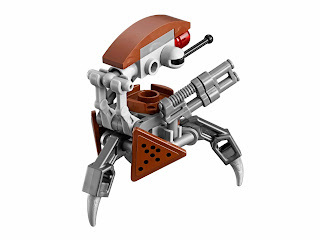 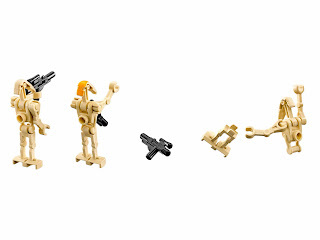 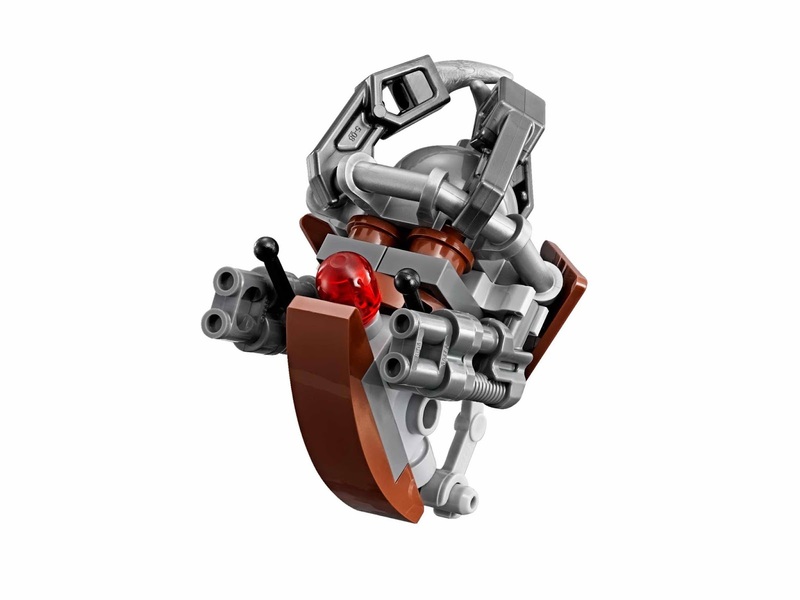 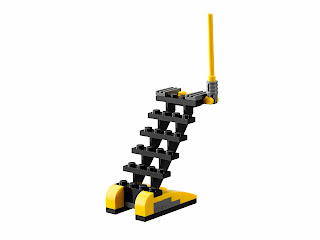 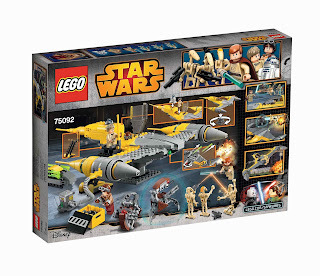 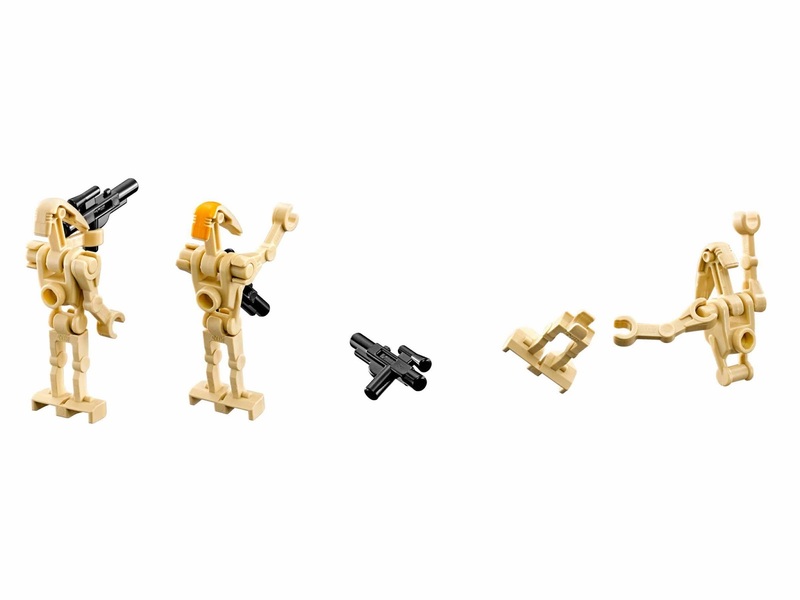 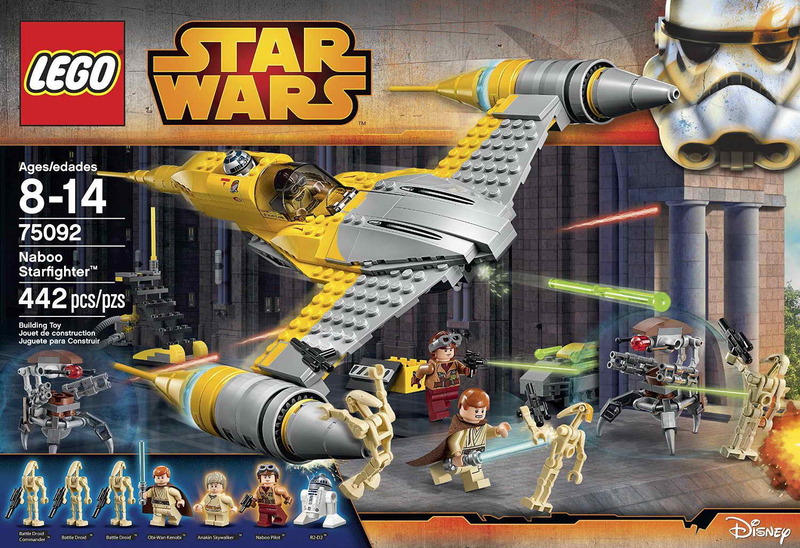 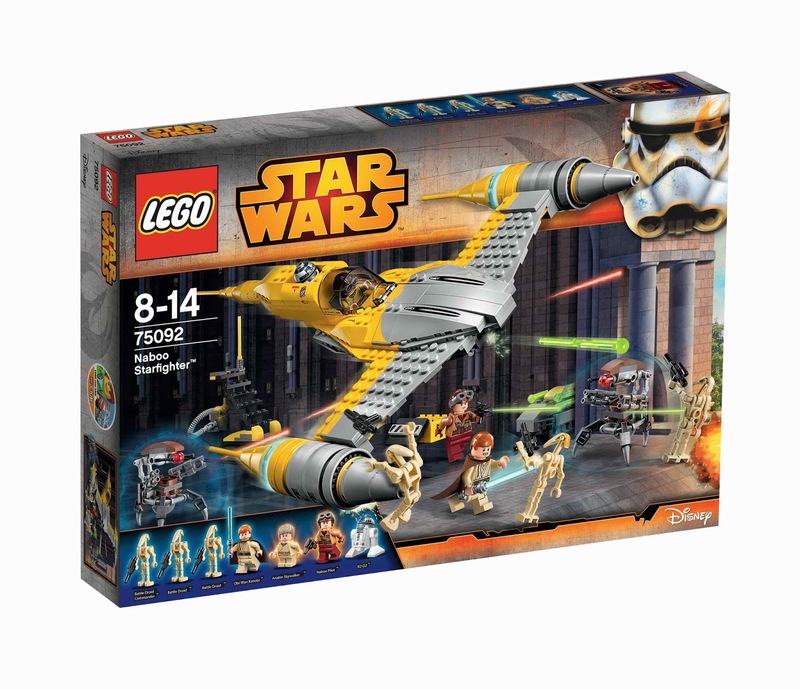 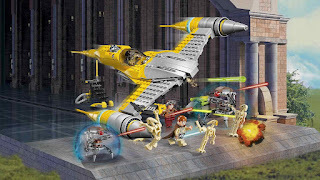 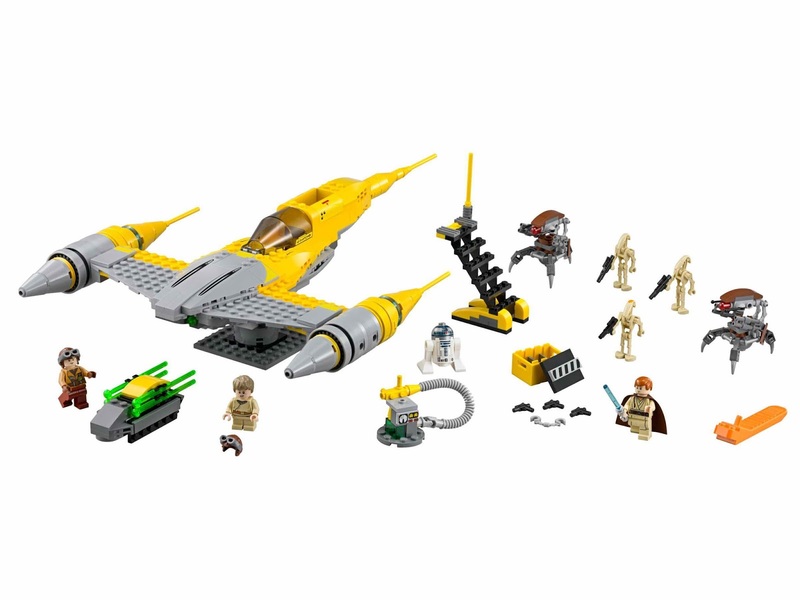 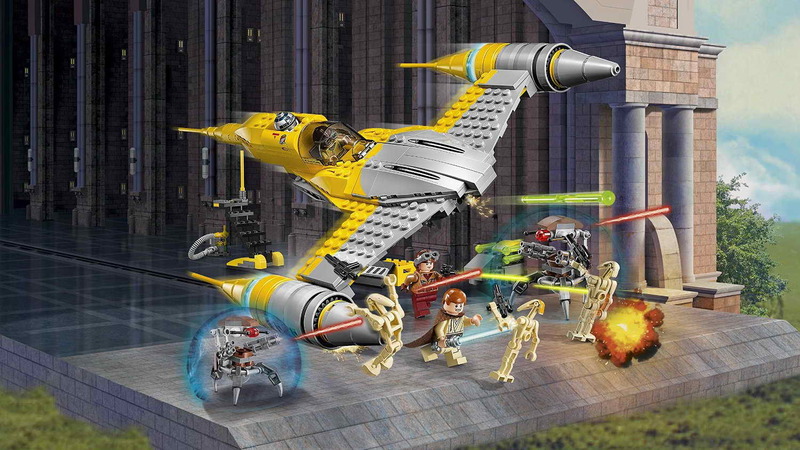 minifigs included an anakin skywalker minifig, a obi wan kenobi minifig, a naboo pilot minifig, an r2d2 minifig, 2 battle droid minifigs, 2 droideka minifigs and a battle droid commander minifig.